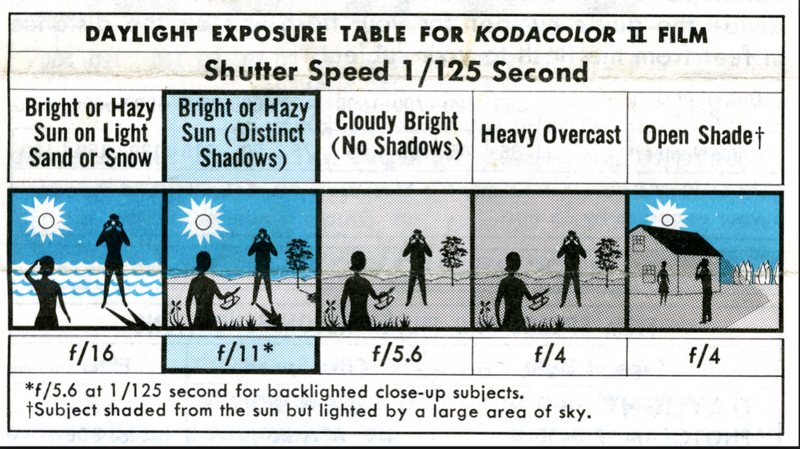 Basic Daylight Exposure (BDE or Sunny 16) is a formula for setting your camera exposure when the light meter is not working or in situations where it can be fooled. BDE is an excellent way for students to get good exposures while still learning how to use a camera. BDE says that if the sun is 15 to 20 Degrees above the horizon, your exposure will be f16 @ 1/ISO. BDE will change depending on the light conditions your are in. HSW.tv Episode 05 - The Sunny 16 Rule / Basic Daylight Exposure from High Sierra Workshops on Vimeo.